Henry Fink, the youngest son of Hermanus and Hendrina Vinkenvleugel came to America from Dinxperlo, Netherlands in 1848 with his parents and four other siblings. He was a brother of Mary Fink who married Lambert Vanderheiden. 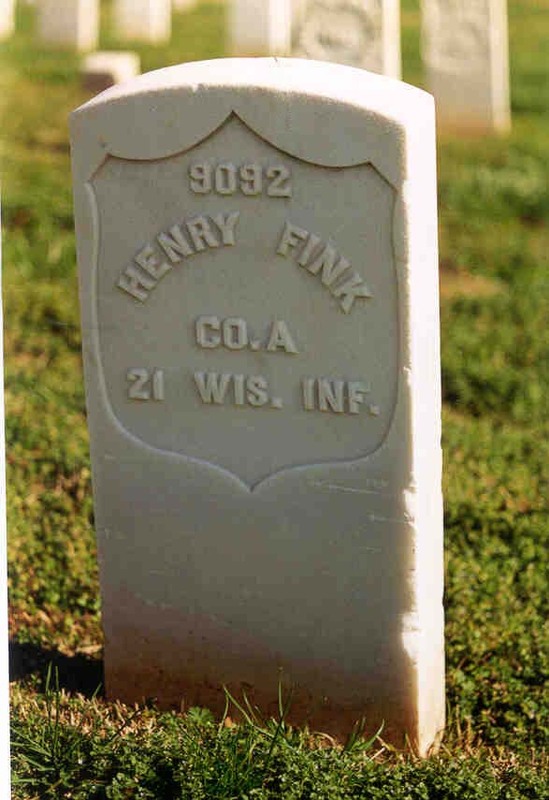 Henry was killed in the Civil War in August, 1864. His actual grave site is at the Marietta, Georgia National Cemetery. It was near there where he was killed. 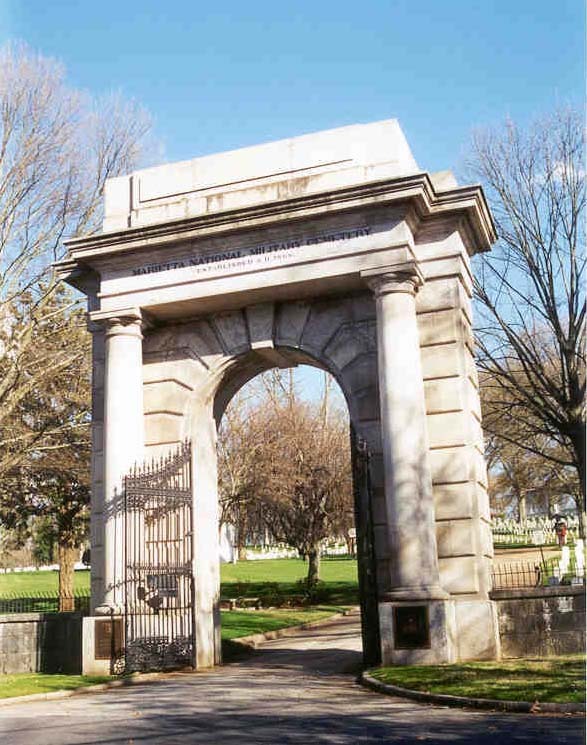 Entrance to the Marietta National Military Cemetery in Marietta, Georgia. Died August 1864 near Marietta, Georgia.